Our creative farmers in WNC grow a huge variety of crops. These farmers satisfy specialty and wholesale markets and the diversity of customers we have here in the mountains. If you’re eating seasonally, you’ll notice a lot of green on the table this time of year. We’re excited to welcome back cultivated greens like kale, spinach, arugula, and a dazzling varieties of lettuces. (Did you know you can use our Farm Network – Find Organic Food tool to search for products available from our local member farms?) And we also love locally-grown flowers! Local flowers are great for Mother’s Day! 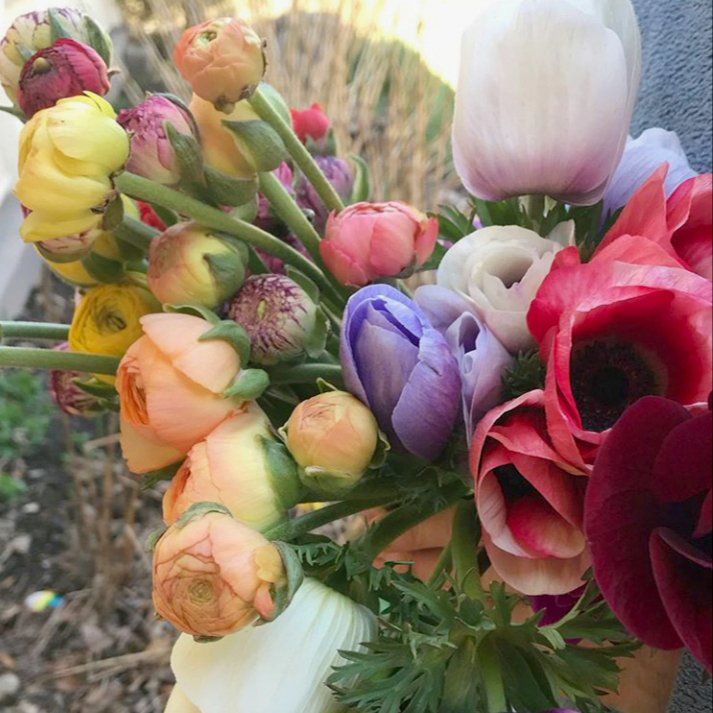 Locally grown cut flowers provide the perfect splash of color to welcome spring! As we get closer to Mother’s Day (hint : It’s Sunday, May 12), you’ll see more cut flowers appearing at your local markets. Not all plants go into the ground in the spring! Many of these flowers are sown in the fall. They remain in the soil over winter to be ready in early spring. “Cold stratification” is the process where periods of cold temperatures tell the seeds when to wake up. Farmers in our area are seeing their autumn-planted crops coming to life and beginning to grow. Crops such as bachelor’ buttons, nigella and sweet william (dianthus) can tolerate cold and get a jump start on growing when the sun shines. 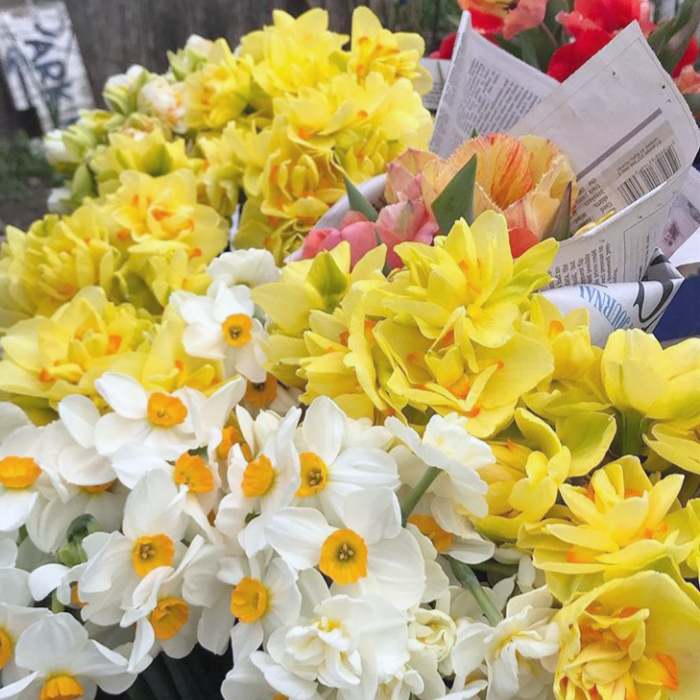 Farmers will be bringing early flowers to market, especially on Mother’s Day. Expect mixed bouquets of peonies, snapdragons, sweet william, baptisia, and snowball viburnam. Our farmers have flowers now at local markets. Full Sun Farm, a member of the CRAFT Farmer Network and Farm Beginnings farmer instructor, will have early flowers at the North Asheville Tailgate market. This market’s season began April 6. Flying Cloud Farm also sells bouquets at market and at their farm stand in Fairview as they are ready. 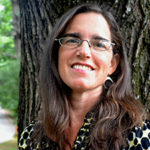 Another Farm Beginnings participant, is graduate Kelly Lovejoy of Far Flung Farm. She is specializing in agritourism and cut flowers. She has permanent beds and is planning to sell her flowers in a roadside stand this season. 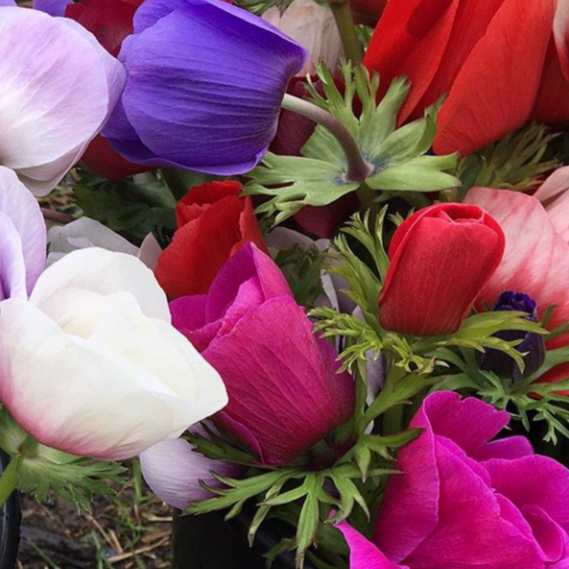 The roadside offerings will include daily bouquets, pick your own bouquets, per-stem pricing, and pick your own buckets for weddings and parties.. She is currently harvesting anemones, ranunculus, and tulips. Also soon to come are blupeurum, nigella (love-in-a-mist), bachelor buttons, Delphinium (larkspur), poppies, allium, and sweetpeas. You can find flowers and produce from Full Sun Farm and Flying Cloud Farm every Saturday at the North Asheville Tailgate Market and at each farm’s roadside stand.